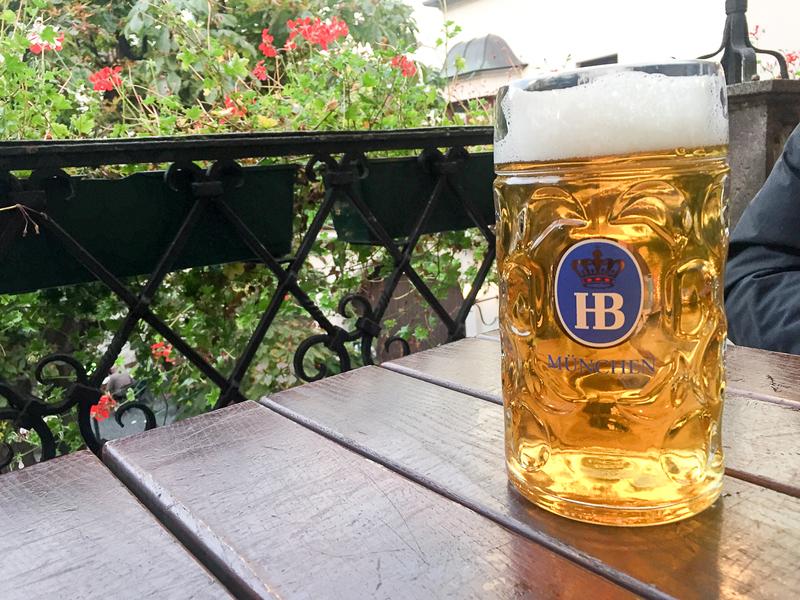 In September we went to Munich, the Bavarian capital, which just so happened to coincide with the onset of Oktoberfest 2017. 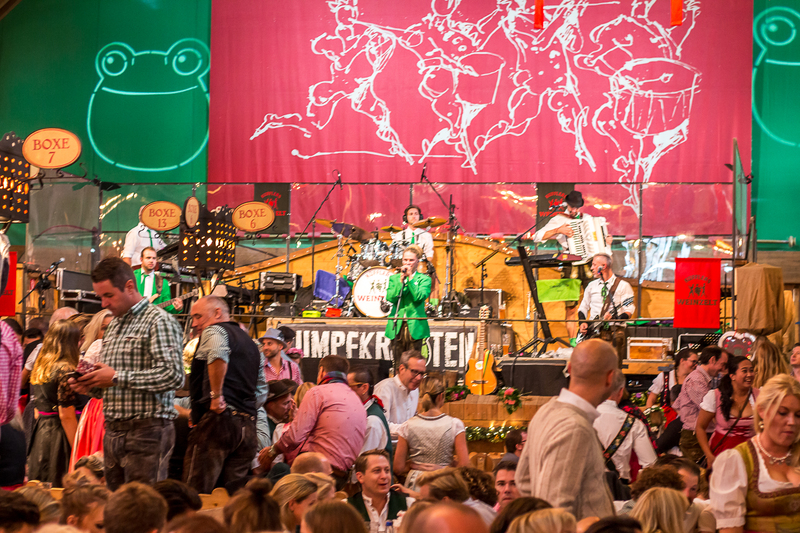 Munich city is home to impressive buildings, numerous museums and, of course, beer halls. 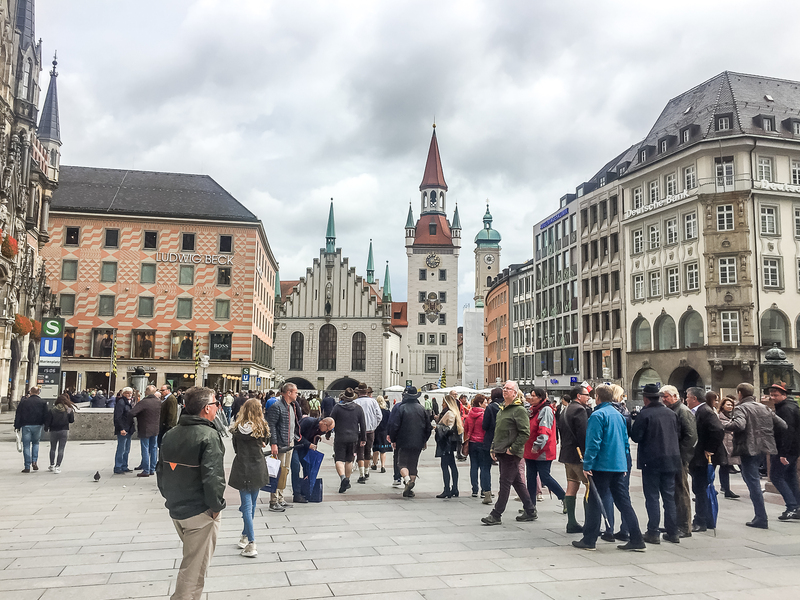 The Old Town is punctuated by the central Marienplatz square, our starting point for exploring the city, home to landmarks such as the Neo-Gothic town hall. We arrived just in time for the famous glockenspiel show, chiming out the time whilst reenacting stories from the 16th century. 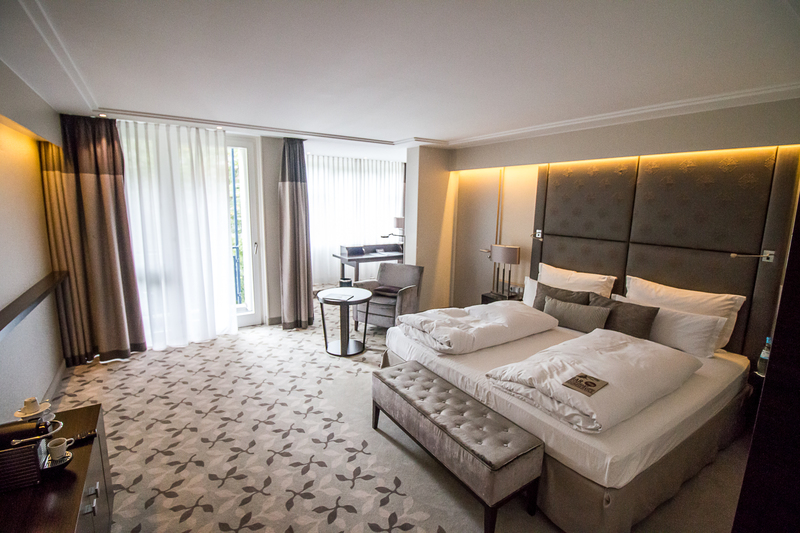 Whilst in Munich we stayed at the Pullman Hotel, conveniently located near the underground so we were able to quickly hop on a train into the city centre. The hotel had all the necessary hotel commodities required of a city-centre hotel, with the added convenience of parking and luxury touches such as a spa. 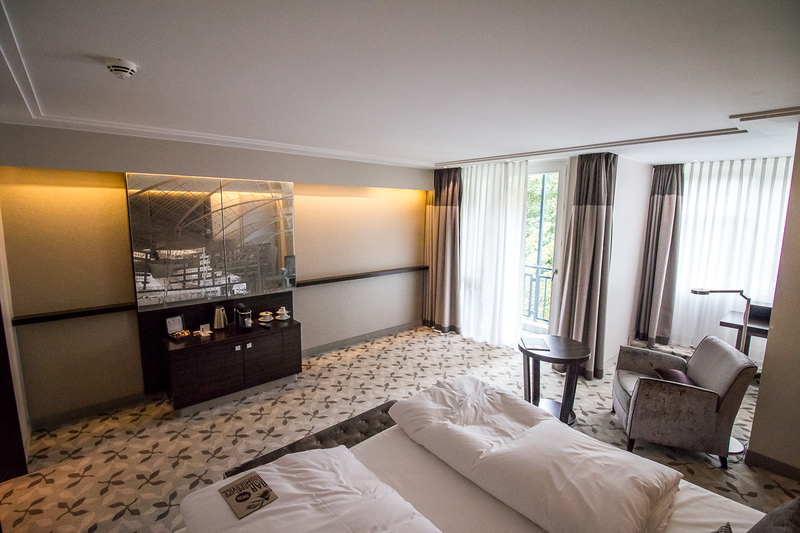 Our room was spacious and modern (which is quite unusual from my experience of German hotels), with soothing, neutral colour palette of greys and comfortable furniture. 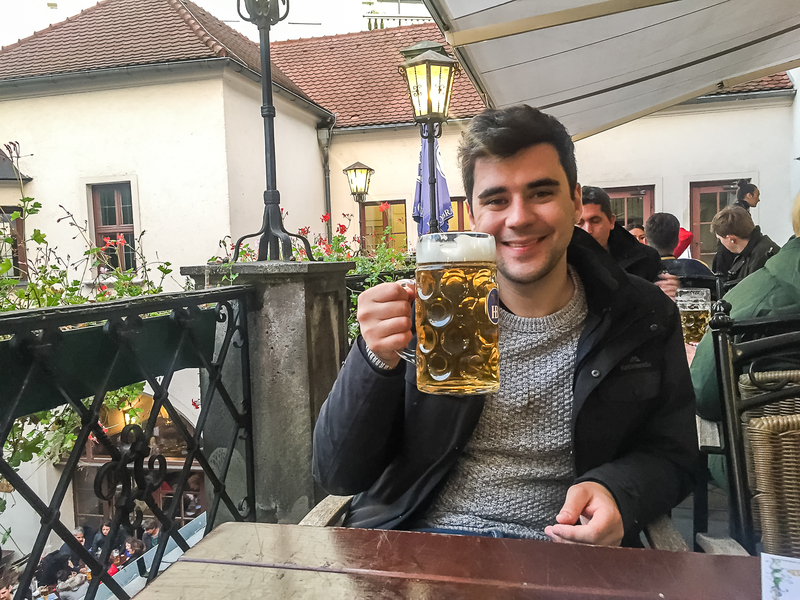 It was a great base for our stay, enabling us to come and go from the bustle of the city and Oktoberfest to some rest and relaxation with a hint of luxury. 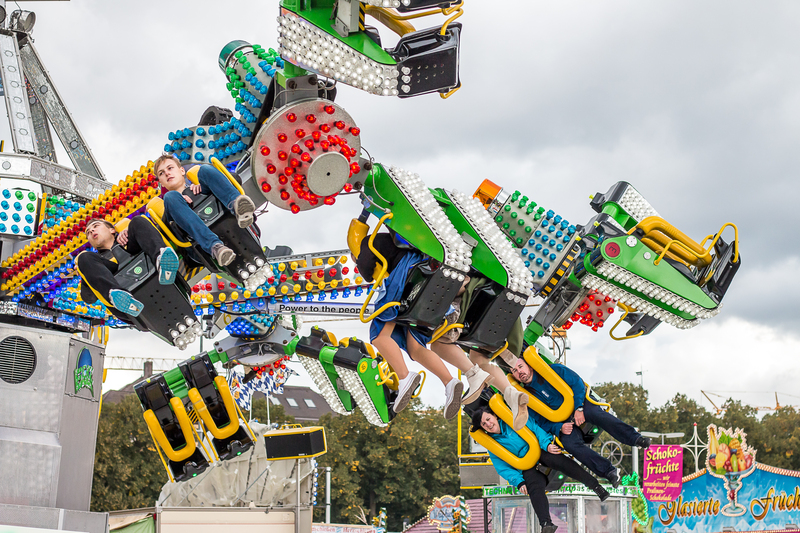 6.2 million guests, 7.5 million litres of beer, Oktoberfest is the world’s largest annual beer festival, set alongside a travelling funfair! Running from mid-September to the first week in October, people travel from across Germany and around the world to enjoy the celebrations to bring in the month of October. 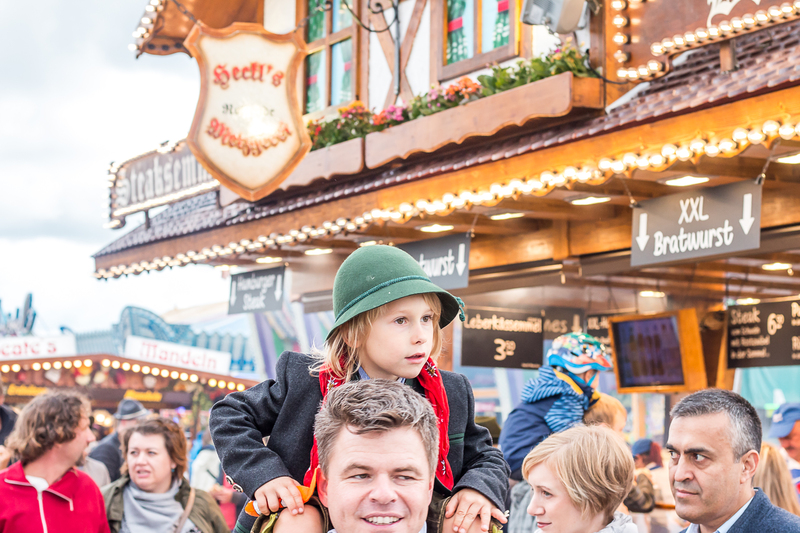 The festival plays an important part in Bavarian culture, having been an annual event since 1810, with people dressing up in traditional Bavarian formal wear… yes, that’s right, lederhosen! 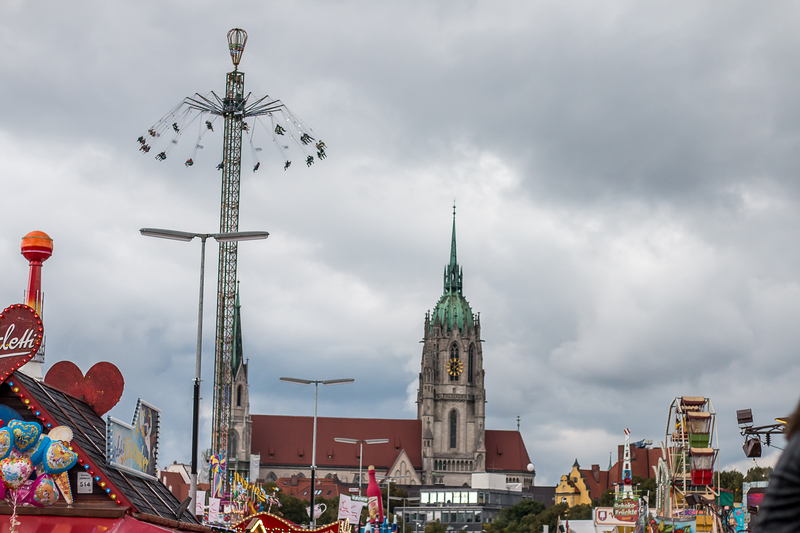 The event takes place in Munich with a whole range of beer ‘tents’, funfair rides, games, wine bars and souvenir stalls. The beer ‘tents’ are actually large, wooden structures, many of which have 2 stories and are far more impressive than you would expect from the term ‘tent’. 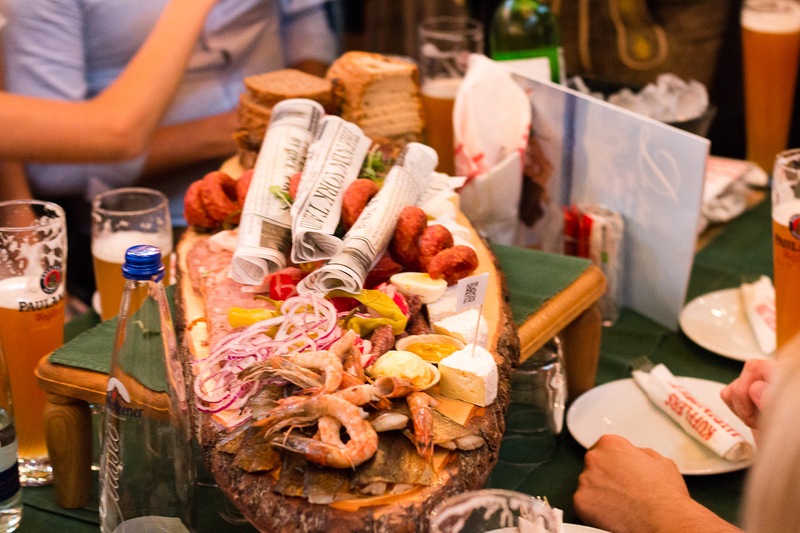 Brass bands play traditional music and parties of people join together around large tables to enjoy platters of food and litres of beer, glasses clinking together along to the music. After enjoying the somewhat crazy hustle and bustle of Oktoberfest, we headed back into Munich city centre and ate out at a gourmet burger restaurant (apparently gourmet burgers are all the rage in Germany at the moment!). We then went on to a traditional beer house, which in fact turned out to be the oldest in Munich, Hofbräuhaus, with a rich 400-year-old history. 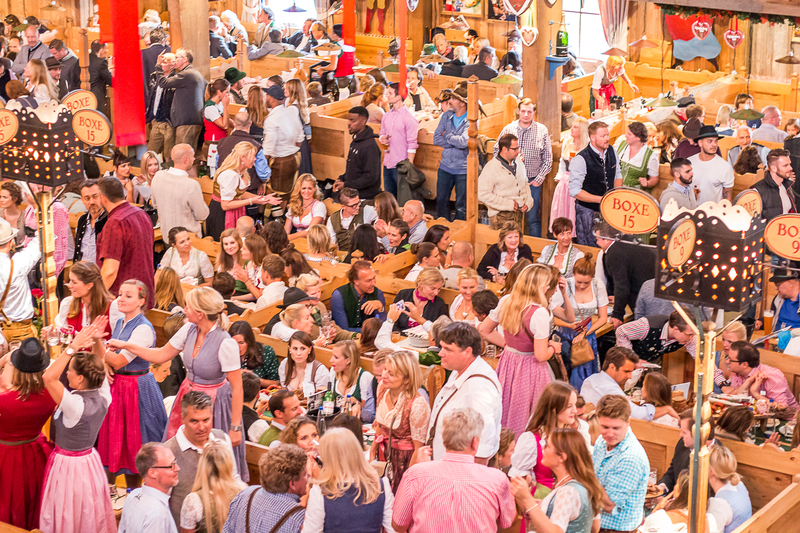 Seating up to 3,000 people, the beer house was filled with Germans and tourists alike, singing along to music, chatting loudly across tables, eating pretzels and drinking many a glass of beer. 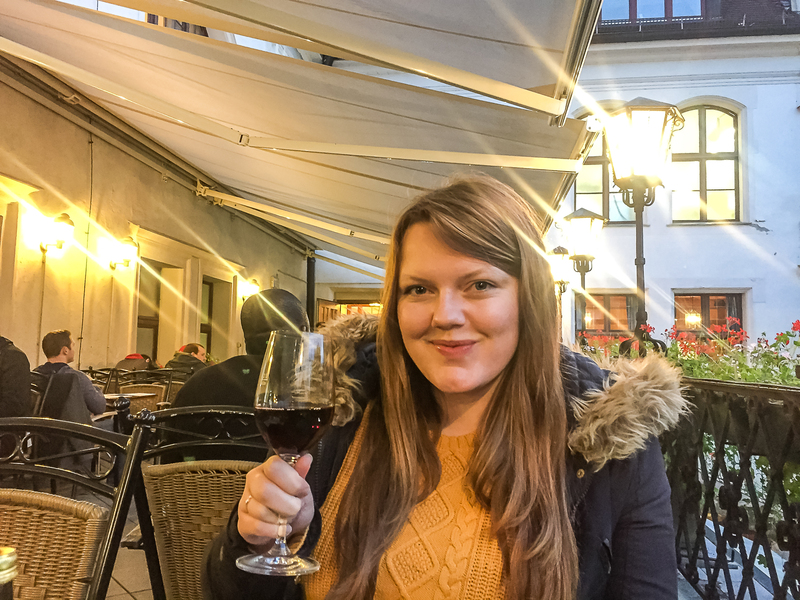 The waiter was surprised when I ordered wine… something unheard of in this part of town! Whilst in Germany we also hired a convertible and travelled to Salzburg and around the Bavarian Alps, stopping off at beauty spots such as Lake Thumsee and visiting the impressive architectural design of Red Bull’s Hangar 7. 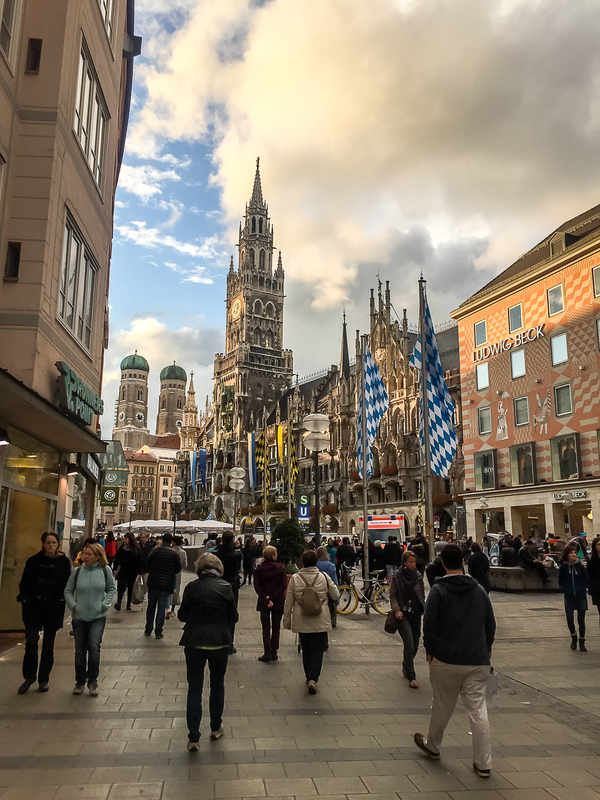 If you’ve ever thought about visiting Munich, it’s a beautiful city, full of much history and interesting architecture. 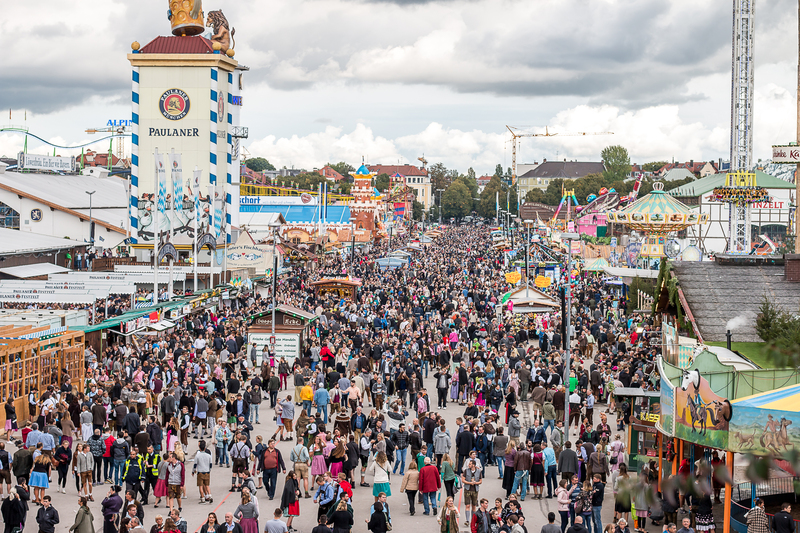 Oktoberfest is certainly an experience you’ll never forget, but prepare to pay premium prices for hotels and restaurants as September/ October is the most popular time of the year.